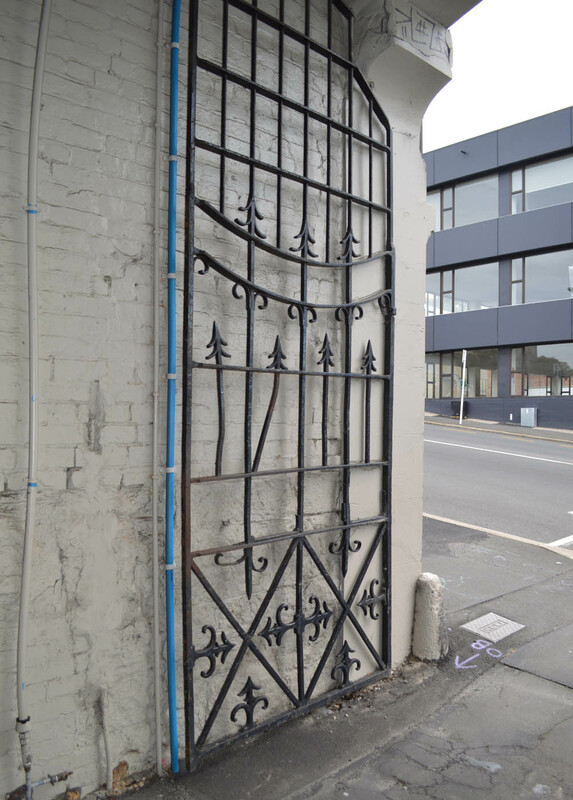 High Street’s association with the medical profession dates back to at least the 1880s, when the Mornington cable car started running and some impressive new houses were built along its route. 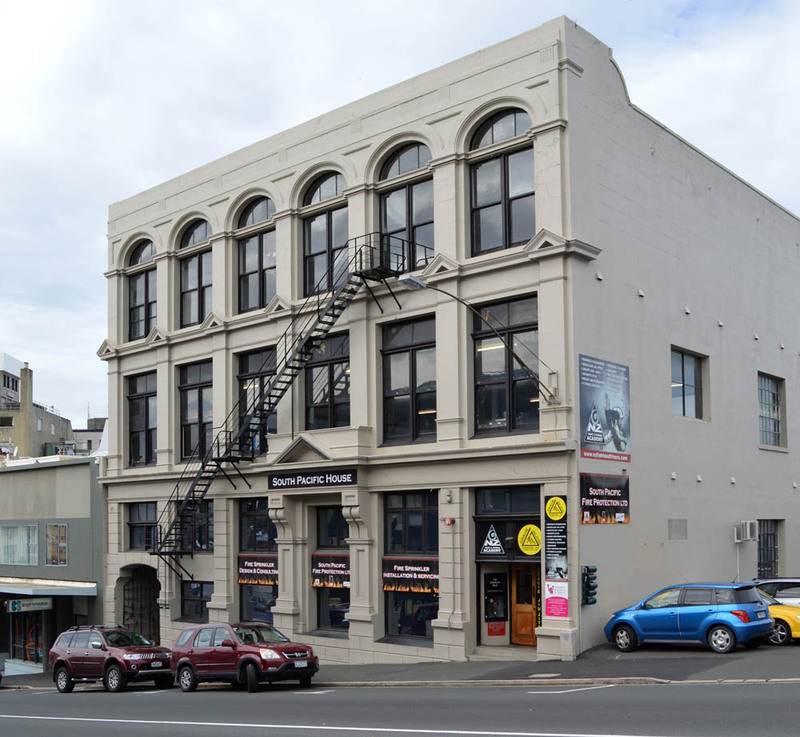 In 1920 there were no fewer than ten doctors among the residents, many with surgeries attached to their homes, and the street was a logical location for what might be considered one of Dunedin’s first medical centres. 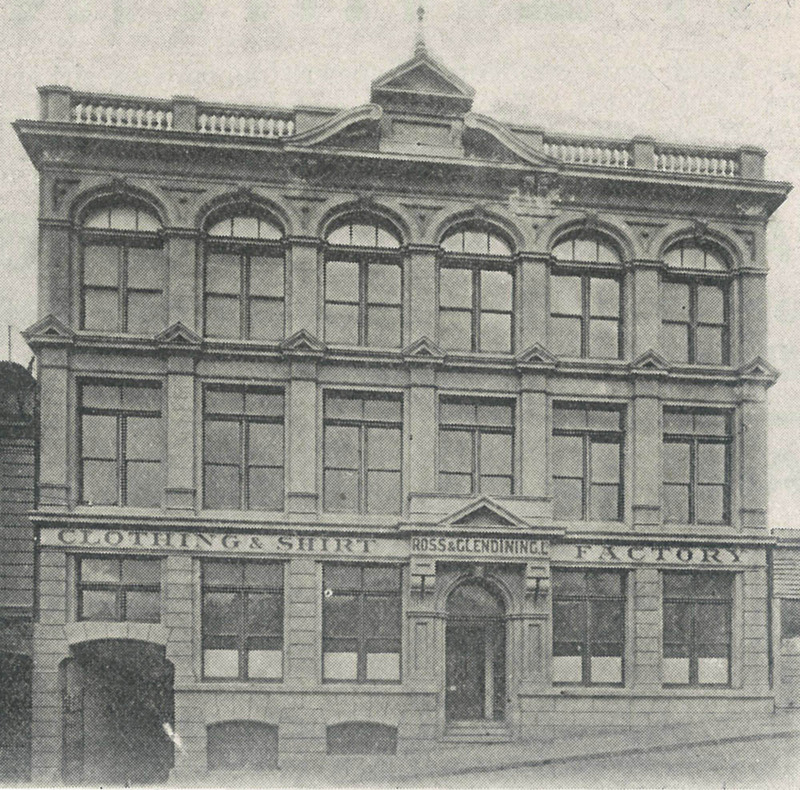 The company behind the venture, Medical Buildings Ltd, was incorporated on 1 March 1926, and the shareholders all took professional rooms in the new property. The first occupants were James Alfred Jenkins (surgeon and urologist), John Finlayson Cardno (radiographer), William Elliott Carswell (ophthalmologist), Cecil Haden Tait (dentist), and Charles Ritchie Burns (cardiologist and medical administrator). The architect was Eric Miller and the builder George H. McGregor. 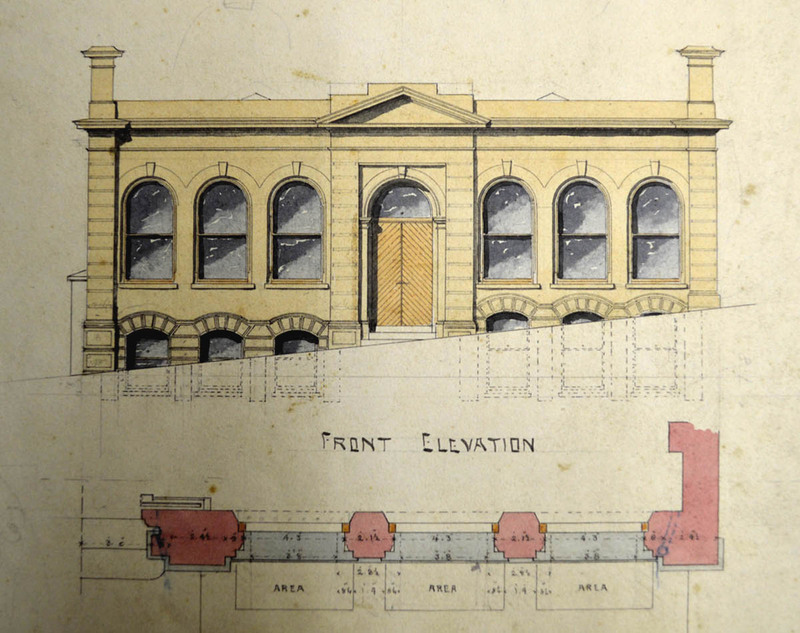 A contract for £3,590 was signed in May 1926 and the building was completed in 1927. 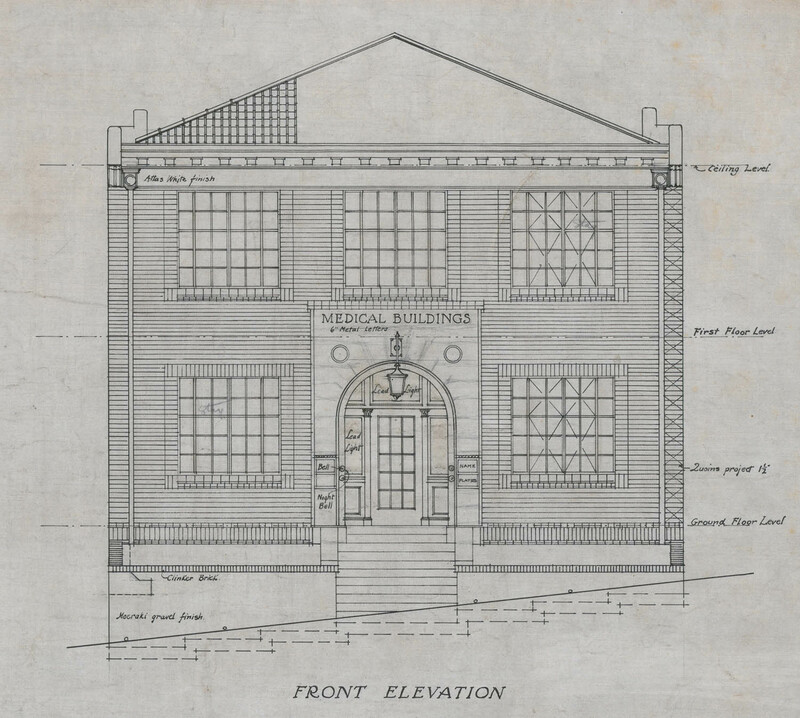 ‘Medical Buildings’ is the name that appears on the plans, but the one ultimately chosen was ‘Cavendish Chambers’. This was presumably taken from Cavendish Square, well known as a site of medical practices in London. The main portion of the new building was two storeys high. 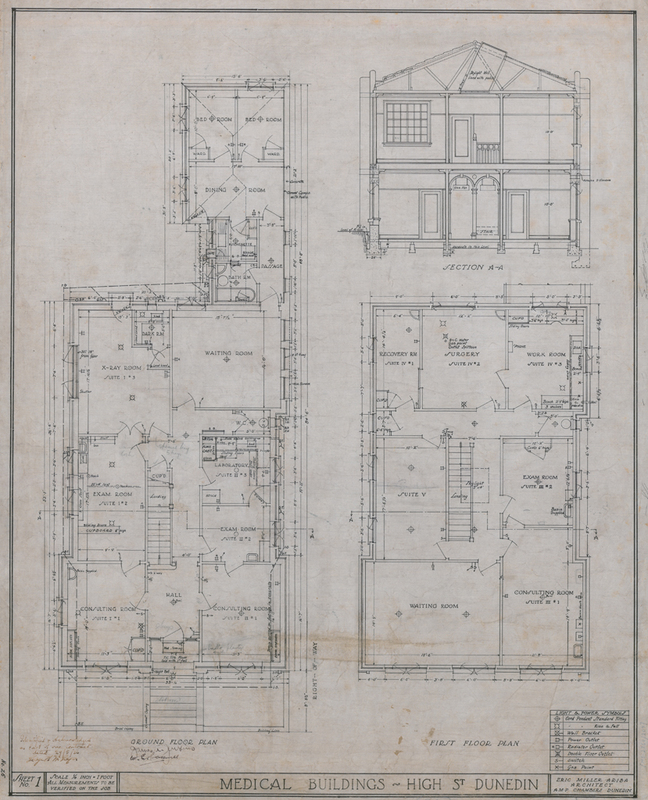 It contained five suites of professional rooms set up as appropriate with consulting rooms, examination rooms, and laboratories, and with an x-ray room and a dark room for the radiologist. There were waiting rooms on each floor and a system of electric bells for communication. Nurses’ accommodation was in a single-storey portion at the rear, with bedrooms, dining room, kitchenette, and bathroom. I hope someone might have more information about the nurses, as I imagine their life in the building was one of the most interesting parts of its history. The construction was cavity brick, with rimu floors and green concrete roof tiles. Garden walls to the street were finished with Moeraki gravel and clinker brick. 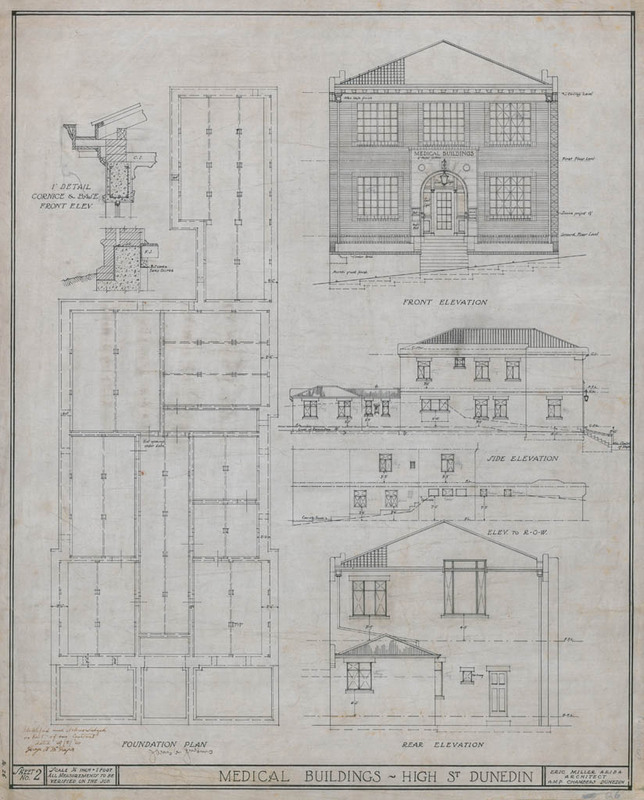 The style drew from Revived Georgian and English Domestic influences, both popular in the 1920s and favoured by Miller in his residential and commercial work (which included the Irvine & Stevenson building featured on this blog previously). The steel-framed windows facing the street are mullioned and surrounded by subtly varied brickwork. 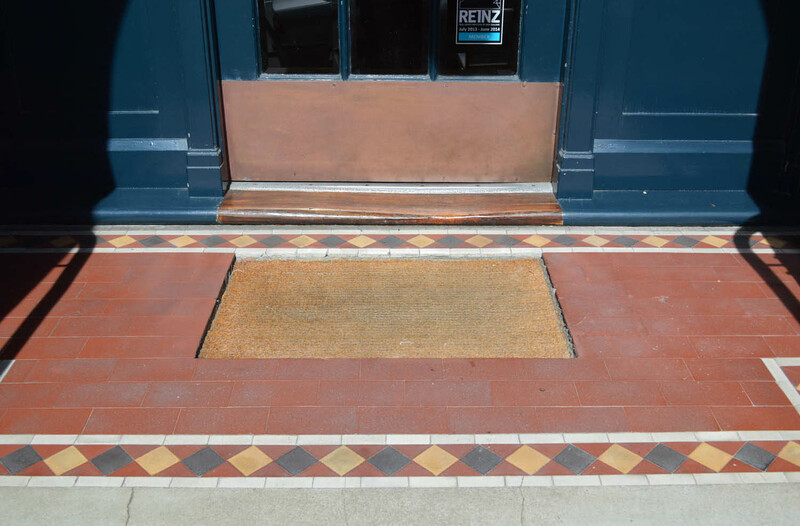 Other features include corbels, a cornice, and brick quoins, while coloured terracotta tiles are a feature of the entrance porch. Metal letters above an entrance arch read ‘Cavendish Chambers’ and below these is a large electric lamp . 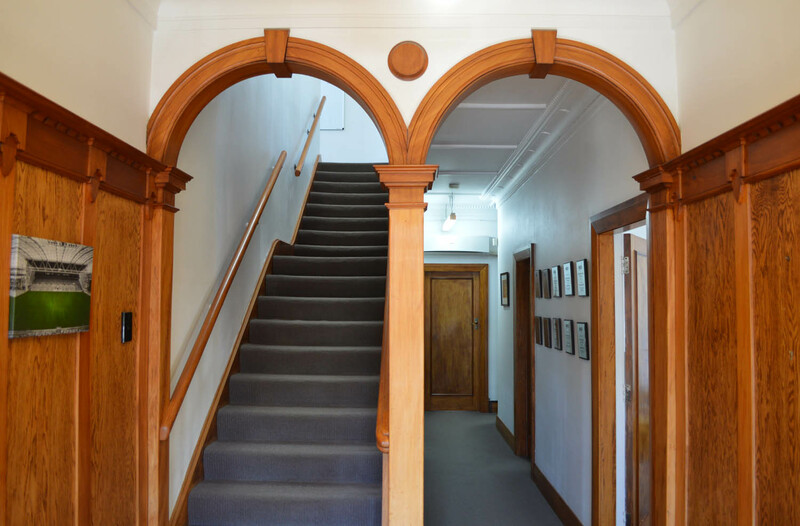 Features inside the reception hall include rimu arches with mitred moulded architraves, panelling in oak and rimu, and parquet flooring. A skylight effectively lights the central stairwell. So who were these doctors and others who based their private practices in the building? James Alfred Jenkins (1892-1976) occupied rooms from 1927 to 1952. A surgeon and urologist, he was lecturer in clinical surgery at the Otago Medical School. During the Second World War he was head of the medical section of the Emergency Precautions Services in Dunedin. 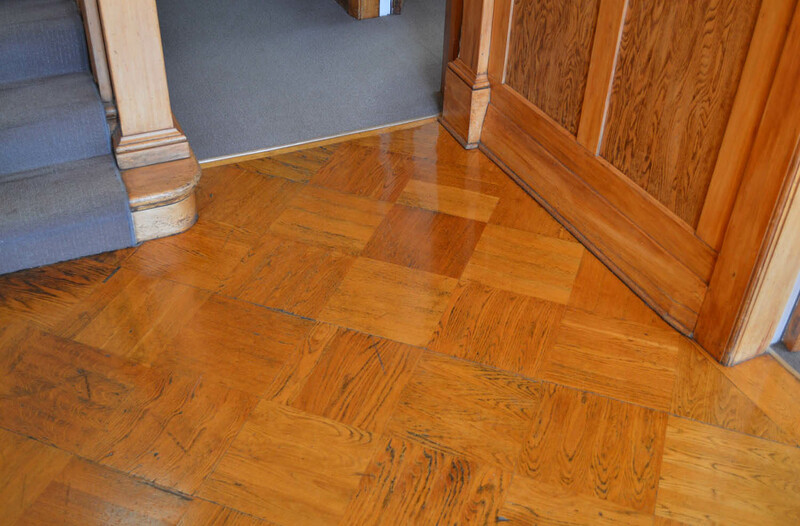 WIlliam Elliott Carswell (1882-1958) kept rooms from 1927 to 1958. He worked as an ophthalmologist and lecturer at the Medical School, and during the First World War had been instrumental in founding a physiotherapeutic department for the rehabilitation of ex-soldiers. He became head of the ear, nose and throat department at Dunedin Hospital, and was later chief of the eye department. Carswell was first local president of the Hard of Hearing League, and served as national president of the Ophthalmological Society. Charles Ritchie Burns (1898-1985) was a cardiologist and medical administrator. His rooms, which he occupied from 1927 to 1939, contained an early example of an ECG machine. Burns was later director of medicine at Auckland Hospital, head of cardiology at Wellington Hospital, and a specialist in alcohol addiction (he was Medical Officer at Queen Mary Hospital, Hanmer Springs). He served on hospital ships and in Italy during the Second World War. 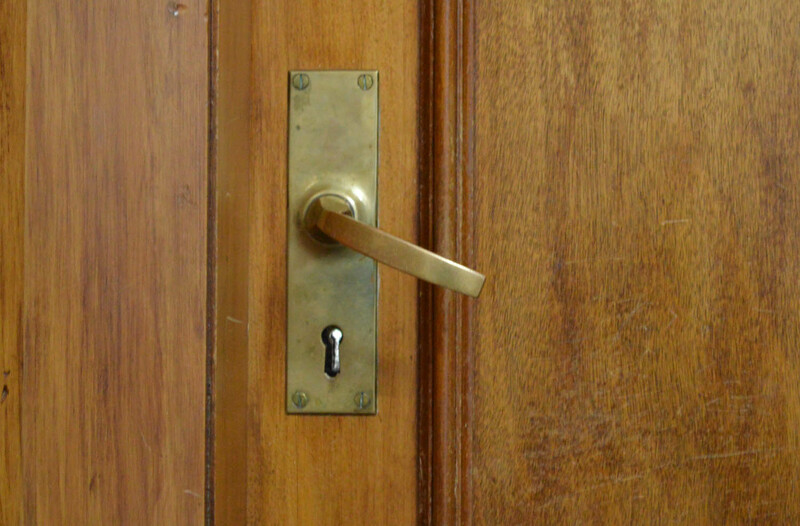 Cecil Haden Tait (1896-1983) was the only dentist to have rooms, which he occupied from 1927 to 1960. Although he remained in general practice all his life, he practised oral surgery extensively. John Finlayson Cardno (1888-1966) was a radiographer. He kept rooms from 1927 until his death in 1958, and was the only long-term occupant who was not a shareholder in Medical Buildings Ltd. He was one of the first radiographers in private practice in Dunedin, and the first associated with the Dental School. Cardno served in both world wars. He had been with the Second Field Ambulance at Gallipoli and was awarded the Distinguished Conduct Medal. Jack Dinham Cottrell (1903-1989) occupied rooms from 1939 to 1945. He worked at Dunedin Hospital as medical registrar, honorary assistant anaesthetist, and honorary assistant physician. He served in the New Zealand Army Medical Corps during the Second World War and was awarded an OBE for gallant and distinguished service in the field. He was later a leading figure in the World Health Organisation in Europe. Denholm Carncross Cuddie (1915-1986), a general practitioner, kept rooms from 1945 to 1986 (those previously occupied by Burns). He had served with fighter squadrons in the Royal New Zealand Air Force during the Second World War. Cuddie was president of the Otago Branch of the New Zealand Medical Association and was medical examiner for the Civil Aviation Authority. Victor Tomlinson Pearse (1913-1995) had a suite from 1952 to 1988. A surgeon, during the Second World War he served as Senior Medical Officer, New Zealand Division, and was awarded the Military Cross for bravery in action during the battles for Sangro River and Monte Cassino. Pearse was Senior Registrar at Dunedin Hospital from 1951, and was the first to concentrate on paediatric surgery at Wakari Hospital. He also practised widely in general surgery. Charles Wynn Squire (Peter) Jerram (1908-1986) was a radiotherapist who kept rooms from 1952 to 1963. During the Second World War he served as a medical officer with the Royal Air Force in North Africa. He was Director of Radiotherapy Services at Dunedin Hospital from 1945, and launched the appeal which raised funds for a new unit at Wakari, opened in 1958. Norris Roy (Norrie) Jefferson (1914-2013) occupied rooms from 1959 to 1970. A radiologist, he was founding president of the New Zealand Sports Medicine Federation and was described as the ‘Father of New Zealand Sports Medicine’. In 1979 he was awarded an OBE for his services to disabled sports and sports medicine. The final partner to join Medical Buildings Ltd was the diagnostic radiologist Ross Smith, in 1960. He remained until his practice was sold in 1988, and the building company was wound up. From 1988 to 1995 Cavendish Chambers was occupied by Faris Marlow Associates, mechanical services consultants. 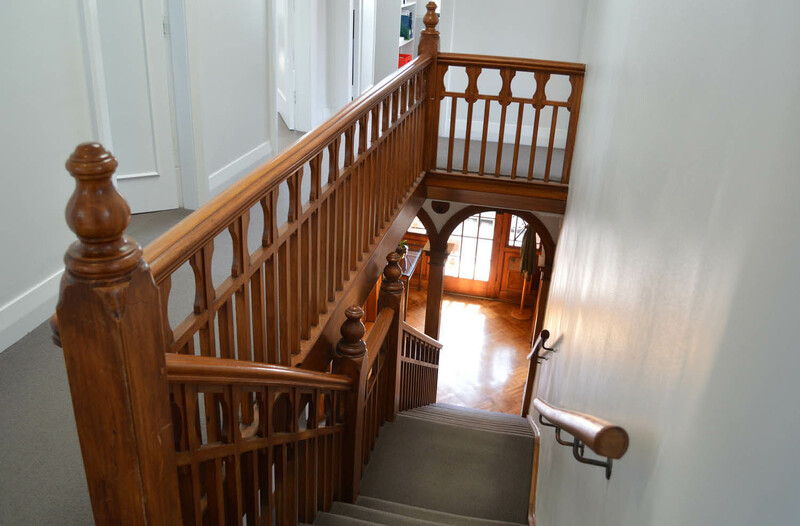 In 2002 the building was purchased by Elizabeth and Michael Nidd, and it has since been used as the central office of Nidd Realty (initially associated with Bayleys Realty Group). The building has seen some major physical changes. The single storey portion was extended in 1952, and other additions included a garage built in 1962, and a deck added in 1991. Elzabeth kindly showed me around the building and talked about some of the more recent changes. In 2004 the single-storey portion and the deck were demolished and a new auction room was built on a similar footprint. 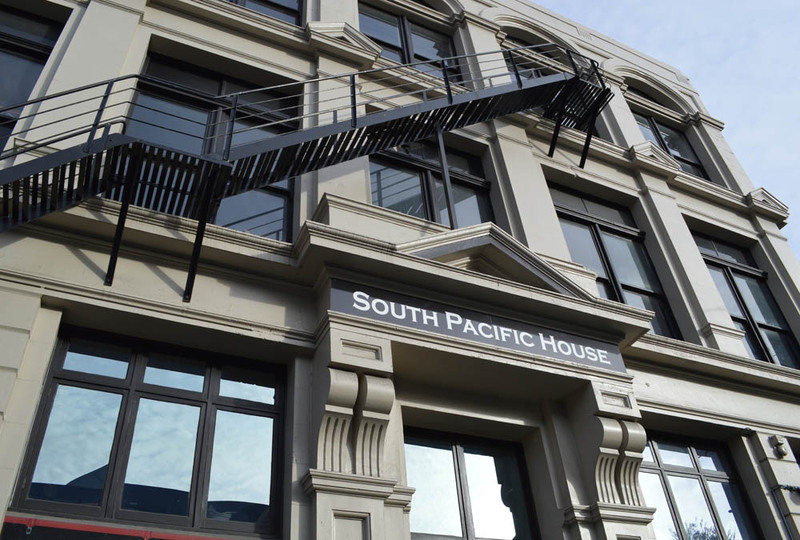 The building was earthquake strengthened in 2012, improving its compliance from 15% to 67% of the New Building Standard. 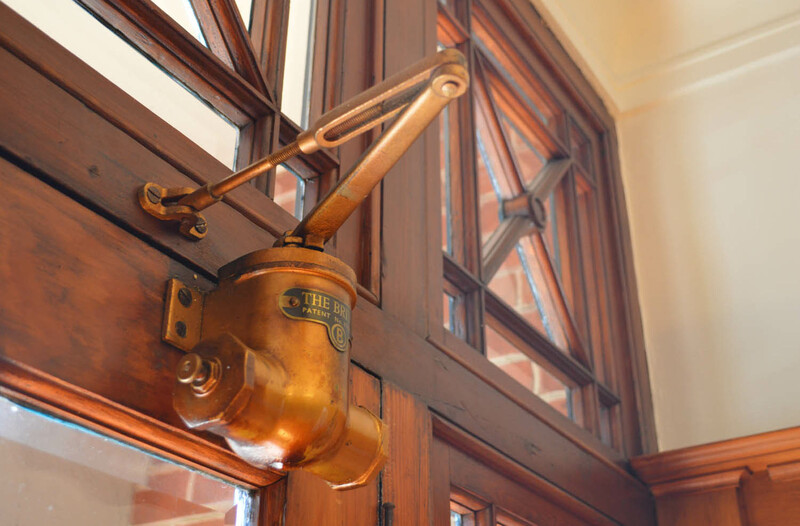 Though some original features were sacrificed in modernisation, Miller’s charming façade and much of the internal timberwork have been preserved, and delightful details such as old handles and a ‘Briton’ door closer can still be found. Importantly, the building is fit for purpose and in good shape for the future. Otago Daily Times, 20 September 1958 p.4 (Carswell obituary), 30 March 1976 p.11 (Jenkins), 15 July 1986 p.16 (Cuddie), 26 November 1986 p.3 (Jerram), 8 June 1995 p.5 (Pearse), 26 April 2014 p.32 (Jefferson). 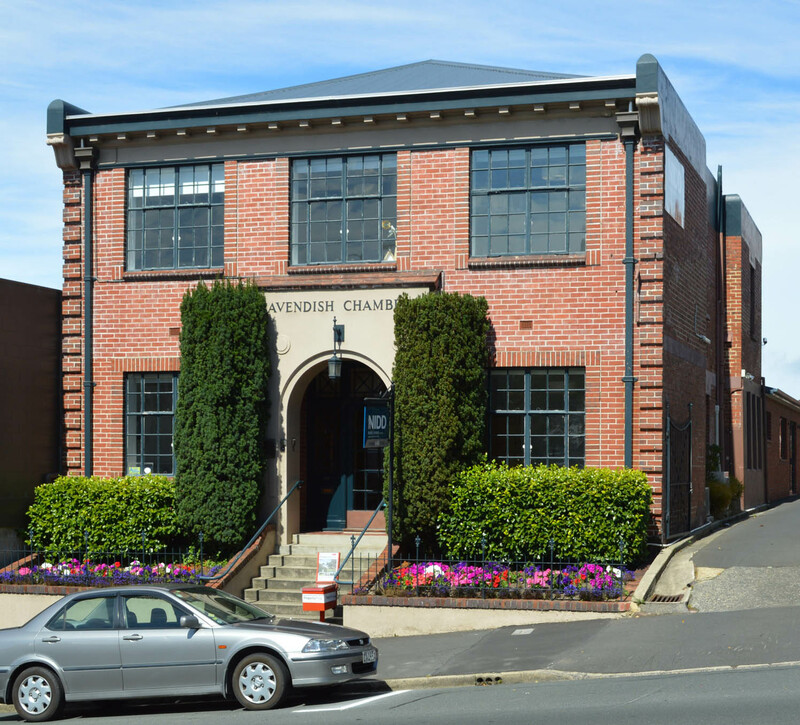 ‘Medical Buildings Limited’, defunct company file, Archives New Zealand Dunedin Regional Office, R2352822, R2352823. This entry was posted in Uncategorized and tagged 1920s, Doctors, Eric Miller, George H. McGregor, High Street, Neo-Georgian on 19 July 2015 by David Murray.